Have you discovered the Red School? Please follow the link to their website. Join the life changing pioneers Alexandra Pope and Sjanie Hugo Wurlitzer for an online course or an in the flesh course. 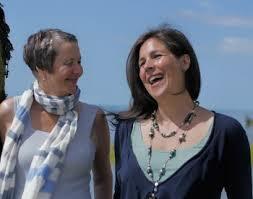 Courses running all over the UK on subjects ranging from Menarche through to Menopause. HYF recommends the Red School! 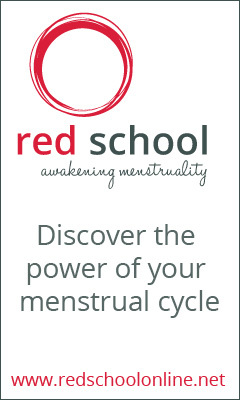 The Red School offers a series of seven online programmes to develop your inner knowledge of the menstrual cycle and the developmental journey from menarche to menopause and beyond. Menstrual Cycle literacy - online course This course introduces you to the most fundamental life skill for every woman - menstrual cycle awareness. Cycle awareness is a way of being connected to your self at all times, giving you the means to understand yourself better, manage your energy and radically reduce stress levels. You’ll learn how to chart the physical and emotional pattern of your cycle and discover your unique rhythm for experiencing optimum wellbeing.